While the planning team created a document from which the ideal future of the park would emerge, the rest of park staff went about the daily business of running one of the largest parks in the continental United States. The Preserve's several administrative teams all faced a remarkable diversity of issues. The history of pre-Park Service low-key management of the eastern Mojave was the indirect catalyst for episodes where user expectations clashed with the Park Service's mission of preservation and protection of the resources of the desert. The Preserve's proximity to two interstate freeways and the greater Los Angeles urban area changed the shape and focus of the park's visitor and resource protection measures, giving Mojave National Preserve management issues more common in urban parks like Golden Gate NRA. Mojave's management also tackled other concerns, like personnel issues and maintenance, that have been addressed by nearly all parks but that were nonetheless crucial to the proper functioning of the Preserve. Top-level managers organized the administrative structure of the Preserve into several teams, each with separate areas of responsibility. Dave Paulissen, one of the park's original employees, has led the administration and maintenance division since its inception. Chief Ranger Sean McGuinness leads the resource and visitor protection division and also bore responsibility for interpretation programming until the Preserve hired Mary "Jeff" Karraker in 2001 to head up a separate interpretation unit. Larry Whalon supervises the intricate complexities of the resource management division. This chapter addresses management and administrative issues; chapter seven explores the history of resource protection and interpretation at the Preserve; and chapter eight examines resource management themes. Another unusual practice, predicated on trust between the division leaders, is the management team's negotiation over all new hires. If an existing position goes vacant, it is not automatically filled with an identical replacement - the position is discussed by the management team, and the salary dollars may be put to use in a different capacity or division, to better reflect the park's adjusted priorities. When viewed in contrast to the image of a stereotypical park, where division chiefs are loathe to give up control over any dollars or positions because they might not get them back, the practice seems remarkable indeed, and helps Mojave make the most of its limited fiscal resources amid shifting priorities. The staff retains a vestigial flexibility as well. The management team emphasized solving problems, not necessarily working within any given employee's particular job description. Veteran employees joke of times when no one really wanted to answer the outside telephone line, since whomever picked up the receiver would undoubtedly be saddled with a new project or investigation if the caller needed something specific. As the park staff has grown in size and the backlog of unaddressed issues has been reduced, the need for such staff flexibility has been reduced, but not eliminated. Staff members still routinely take on assignments outside their traditional areas of expertise when asked to do so. 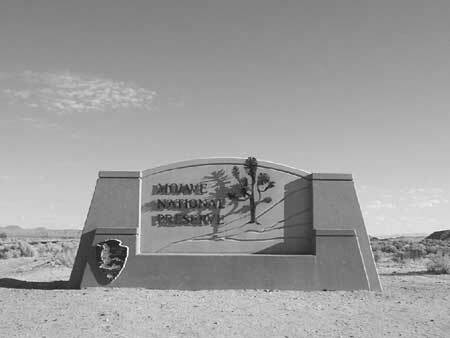 Every national park has had to face problems that arise from visitors' expectations that differ from the course of action required by the Park Service's mission, but Mojave National Preserve has seemingly faced more than its share of these issues, chiefly because of the area's governance under BLM's much more lenient rules less than a decade ago. One of the most unusual incidents began as a minor movement of performance art enthusiasts and their followers rose to international prominence as they worshiped the object of their affection - a lonely telephone booth, at the end of a long string of poles. Park Service employees were amused at first, but chuckles turned to concerns as visitor traffic increased and booth enthusiasts left behind offerings of art and junk, like pilgrims at a pop culture shrine. Concerned about impacts to desert resources, aware of the expiration of the expiration of Pacific Bell's right-of-way, and unmoved by the apparently frivolous arguments of the phone booth users, the NPS ensured the booth's removal. Booth enthusiasts flooded Mojave headquarters with angry emails and phone calls, and charged the Park Service with only welcoming certain kinds of visitors with open arms, the counterculture's retread of the argument used by almost any group that finds the NPS mission in the way of their personal use of a public place. The phone had long been listed on American Automobile Association maps of the area - the word "Telephone" at the junction of a couple of dirt roads. Early visitors to the booth were lured to the area by the apparent incongruity of a telephone seemingly in the middle of nowhere, 15 miles from a paved road. In May 1997, one traveler wrote a letter to a fan "'zine" for the Washington band "Girl Trouble," describing the remote phone. This fired the imagination of Godfrey Daniels, a Tempe, Arizona-based computer programmer and sometime artist, who resolved to call the booth's number every day until he received a response. His breakthrough occurred in late June 1997, less than a month after he started calling, when he reached Lorene Caffee, operator of the local cinder mine, as she made calls from the booth. Daniels, in a transcript of the phone call posted on his website, was clearly thunderstruck by the fact that the booth actually existed, and vowed to visit some day. Nothing prepared Mojave management for the popularity of a lonely phone booth. Pacific Bell's right-of-way for the phone booth expired in 1992, and the company hadn't bothered to renew it. 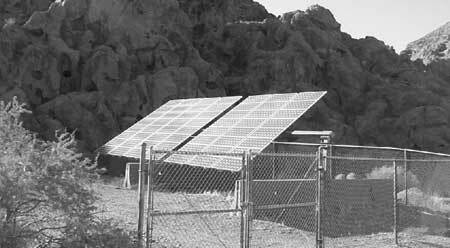 The line wasn't very profitable, and much of the need for the cross-desert telephone link had been eliminated when a microwave tower was installed further south, leaving the Mojave Phone Booth at the end of a long line of poles. The furor took a considerable time to die down. Almost two years after the booth's removal, the superintendent continued to receive several booth-related emails a week. The incident and the subsequent reaction after the booth was removed illustrate the difficulties posed to the Park Service by the history of the eastern Mojave as a working landscape. When applied to a place that had long been managed for multiple uses, the NPS mission of preservation and protection can seem unduly restrictive to users wishing little resistance to their exercise of unlimited freedom in the form of worshiping a quirky phone booth on public lands. The controversy over the cross on Sunrise Rock illustrates the difficulties for the Park Service that happen when the agency finds itself at the middle of a struggle over contested meanings of a public symbol. To local residents, the cross was a religious symbol, and a patriotic tribute to America's veterans. It also served as a source of local identity, giving residents a focal point around which to gather and to rally. While the phone booth attracted a constituency made up mostly of outsiders, local residents argued to keep the cross intact. 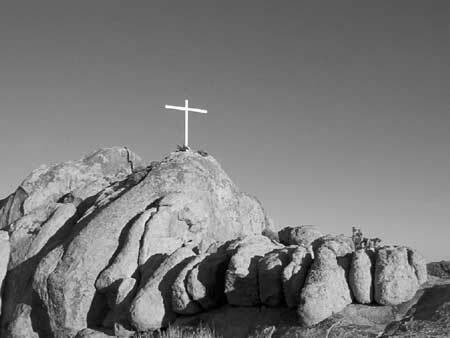 Lewis took his constituents's concerns seriously, and the cross, preserved as a national memorial inside Mojave National Preserve, would certainly have been removed without his actions. Both the Mojave Phone Booth and the cross on Sunrise Rock highlight how different groups find meaning in curious artifacts in Mojave National Preserve, and how the Park Service frequently ends up in the middle of conflicts over which interpretation triumphs in the end. While only a handful of parks have ever become embroiled in disputes over publicly displayed religious symbols, every park must concern itself with personnel issues and maintenance of park facilities. The basic administration of a park is not glamorous, but human resources and maintenance are both essential parts of the foundation of the park. The employee geography of Mojave National Preserve, which sees more than half of all personnel clustered in Barstow, and the rest distributed in or near the park at Baker, Needles, Hole-in-the-Wall, and Kelso, is not conducive to maintaining good headquarters/field relationships. In recognition, the Preserve administration took many concrete steps to forge all employees into a team, and to increase headquarters/field employee communication. The tradition of having an all-employee campout in the park every year, started in the wake of the Dollar Budget, became an excellent way for park staff to come together in a team spirit. Other steps, such as ensuring field employee participation on the Work-Life Issues Committee and development of an internal park website, also helped bring all of the employees closer together. 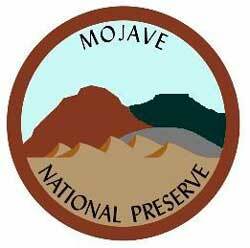 Mojave National Preserve established the Work-Life Issues Committee in FY1998 to address issues of concern to park employees and to help make the Mojave workplace a better place, in keeping with the diversity plan's goal to retain a more diverse workforce. The committee tackled issues such as improving park housing for field employees and creating a park-wide safety plan. Schramm's use of modern human-resources practices, such as addressing the issue of diversity in the workplace, ensuring total employee participation in team building exercises, and formation and ongoing use of an employee-led work-life committee, contributed positively to the employee culture at the Preserve. Mojave National Preserve's maintenance operations can also be described as applying current best practice to the situations faced by the new park. Mojave explicitly learned the lessons from the experiences of other parks. The Preserve consciously attempted to avoid creating any more facilities that require maintenance in the park itself, and instead contracted its vehicle maintenance and other work to reputable outside vendors. Likewise, the maintenance yards themselves were located in a former CalTrans yard in Baker, where suitable facilities already existed and the Preserve therefore avoided the cost of new construction. Nonetheless, when park facilities were in need of work, the maintenance was done with the goal of fixing the problem completely, as evidenced by the comprehensive overhauls received by the two main campgrounds. The maintenance team of the Preserve is also noted for innovative solutions to enhance park facilities. Though management teams, personnel issues, and maintenance operations are not the flashiest aspects of Mojave National Preserve (or any other park), they play integral roles in the ongoing functioning of the park. A close study of all three at Mojave reveals similar themes: cutting edge theory applied to everyday practice, close-knit groups to emphasize teamwork, creative and innovative partnerships to reduce costs and protect resources, and important flexibility to deal with the myriad of unique and common issues facing the park on a regular basis.